Teenage Mutant Ninja Turtles have been around for decades. From comic books to cartoons and movies, the franchise has mutated to reach all sorts of mediums. However, in this list, we’re going to discuss some of the best TMNT video games to have ever released. We take a look back to the original arcade titles to the iconic beat ’em up’s that are still a blast to play. Check out our picks down below, but also, let us know what your favorite TMNT video game is by leaving a comment! 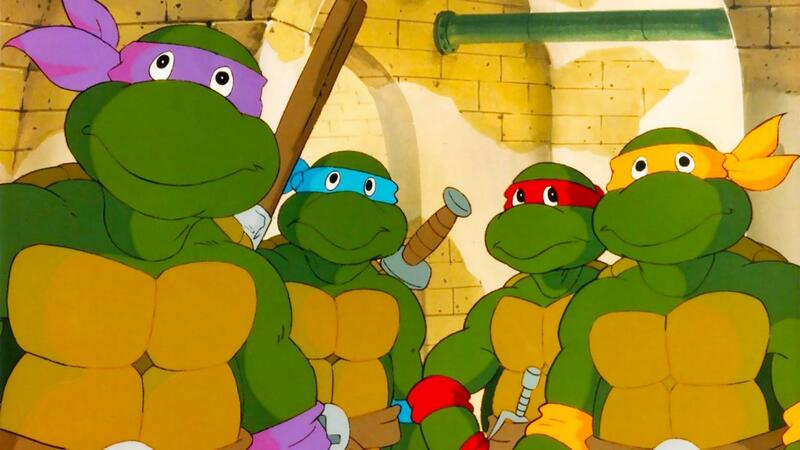 Without further ado, here is our picks for the best TMNT video games of all time. Teenage Mutant Ninja Turtle: Turtles in Time, or otherwise titled as Teenage Mutant Ninja Turtles IV: Turtles in Time is arguably the best TMNT video game as it still holds up great today. This title released back in 1992 from developers Konami, but it released as a port to an arcade title. The game is a side-scrolling beat ‘em up that allowed two players to go through the game as Leonardo, Michelangelo, Donatello, or Raphael. All of which had their iconic weaponry along with their own strengths. Overall, the narrative follows the turtles as they attempt to stop the evil Shredder but in the process, our heroes end up in a time warp where they must stop Shredder’s army in both past and future. Teenage Mutant Ninja Turtles II: The Arcade Game released in 1989 for arcades but was later ported to a variety of platforms after such as the Nintendo Entertainment System. The game as based on the first Teenage Mutant Ninja Turtles animated series where players had the ability to play as one of the four Ninja Turtles. Likewise, depending on the platform, up to four players could play simultaneously. This beat ‘em up title follows the gang after Shredder who had kidnapped the Turtle’s longtime friend April O’Neil along with their mentor, Splinter. Players will be fighting off a variety of Foot Soldiers which may have different attack patterns or weapons depending on their color pallet. Again, there are some dependencies with this title as your gameplay may alter on the platform the game is played on. For instance, the NES only allowed singleplayer and chose when players were able to take on a certain Turtle. Teenage Mutant Ninja Turtles: The Hyperstone Heist is based on Teenage Mutant Ninja Turtles: Turtles in Times but this time for the Sega Genesis or otherwise known as the Sega Mega Drive. Launched back in 1992, the video game overall is the same as Turtle in Time. However, that doesn’t mean there are not some differences. Mechanically gamers lose the ability to throw enemies at the screen but there is now a dash attack. Likewise, there are some new levels for gamers to go through. With that said, most would say that Teenage Mutant Ninja Turtles: Turtles in Time feels and sounds better when playing. Teenage Mutant Ninja Turtles III: The Manhattan Project is another beat ‘em up title that released in 1992 in North America for the Nintendo Entertainment System. What really set this game apart for fans of the TMNT franchise is that this is a brand new video game that was not based on an arcade title. The narrative sees our heroes taking a break with a vacation only for it to come at a sudden end when Shredder kidnaps April O’Neil and rips Manhattan from the ground. Now the Turtles must head to the floating Manhattan Island to stop Shredder and save April O’Neil. Developers Konami has allowed multiplayer gameplay where two players can pick between Leonardo, Raphael, Michelangelo, and Donatello. Gameplay is simple and basic to grasp though one of the more interesting aspects that Konami had included in the game was two different modes. If players wish to have more of a challenge, players could go through a game mode in which both players could attack each other throughout the game. However, that same feature could be disabled in the secondary game mode. Players will have eight levels to go through with a limited number of lives which are pulled from both players in one pool. Teenage Mutant Ninja Turtles was a 2004 video game released that originally launched for a variety of platforms such as the PlayStation 2 and Xbox. This is another beat ‘em up title but in 3D where much like previous installments, players could play as Leonardo, Donatello, Michelangelo or Raphael. This time the game is based on the 2003 animated TV series and holds more of a narrative journey to go through. The game allowed multiplayer though the players were forced into sharing one health bar which means everyone had to work together closely. As a nice little bonus with the game, players could unlock the original Teenage Mutant Ninja Turtles arcade video game. Teenage Mutant Ninja Turtles: Tournament Fighters is actually three different video games that Konami developed back in 1993 and 1994. Overall, this is a standard fighting game where players can face against each other as one of the Ninja Turtles along with a variety of other characters based on the franchise. The video game was developed and released for the Nintendo Entertainment System, Super Nintendo Entertainment System and lastly the Sega Genesis. Gameplay mechanics would be different in comparison to each other simply due to the controllers but another interesting difference between the three video games are the additional characters outside of the main Ninja Turtles. Teenage Mutant Ninja Turtles is a 2003 release for the Game Boy Advance that mixes in a few different elements. Instead of being a full-on beat em’ up title, there are certain levels in which players will compete in races. Likewise, instead of allowing players take control of any of the turtles right at the start, players will have to play a selection of levels as each character. Within the narrative, players will have to stop Shredder and his mutated army from wreaking havoc on the city. Teenage Mutant Ninja Turtles III: Radical Rescue is a Nintendo Game Boy video game that launched in 1993 that is a bit different in comparison to most of the other titles we’ve mentioned in this list. This is a platformer with a Metroidvania type world. The game follows the general narrative of stopping the evil Shredder, but much like the Teenage Mutant Ninja Turtles video game for the Game Boy Advance, this title may only allow players to control certain Turtles on select levels. Likewise, each Turtle has a unique ability that can come in handy when completing the narrative journey such as Donatello’s ability to climb walls.